← Female Fans, Male Fans, & Overall Nerd Stigma! Me, too! I really like the multi-generational portrayal of family in DBZ. Yeah it’s really cool to see a family that is similar to lots of families with it being multigenerational. The family aspect is one thing I really love about the Please Save My Earth sequel. Sailor Moon has nice family groupings as well. Yes the Sailor Moon groupings are a great representation of friends becoming family. Clannad !! they have the cutest family ever !! Yes!!! That family is so cute!!! Omg yes!! Fairy Tail is an amazing family dynamic!!! 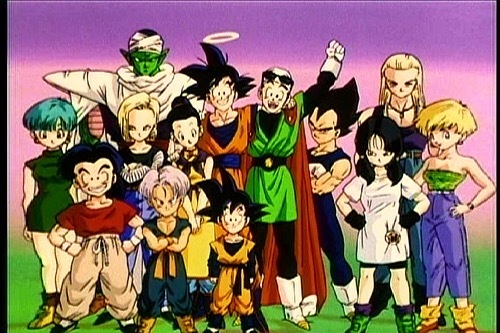 Nice choice of Dragon Ball Z. I can see that with a family like qualities. My choice would be One Piece and Clannad. One Piece has the Straw Hat crew together and they always stick together when facing foes. When they are not fighting, they usually goof around. Yes Clannad definitely focuses on family and all the different dynamics and drama involved.